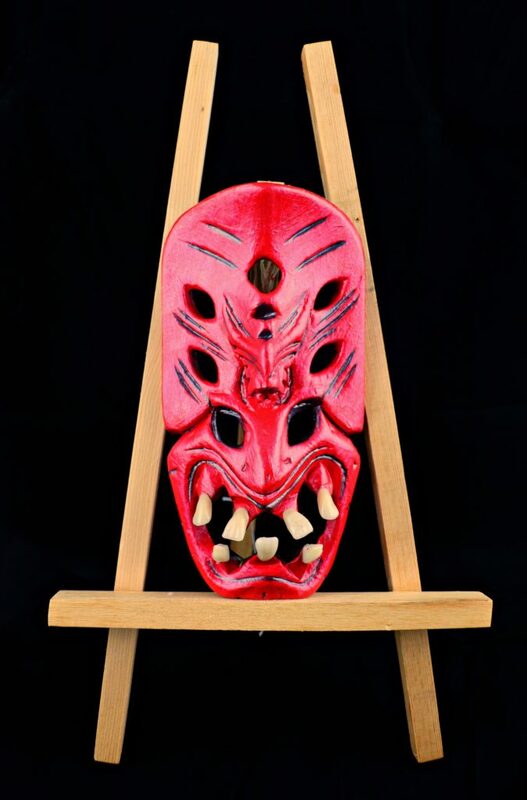 Make a tongue-in-cheek “handsome devil” creepy craft using thrift store items. I had mentioned in my “Love Stinks” gag gift project tutorial that I recently joined a group called “Return of the Thing from the Thrift Store“. The challenge for Valentine’s day has been to use a thrift store item to create a creepy or unusual Valentine. 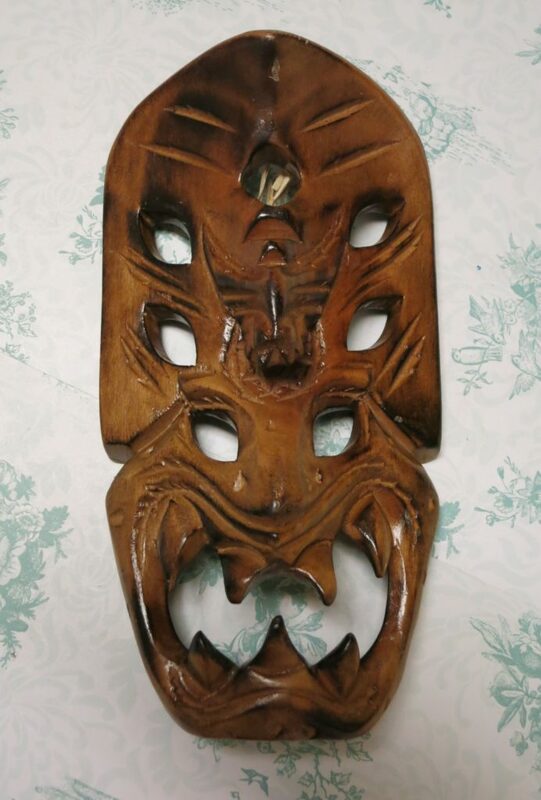 When I found this bizarre devil mask at Goodwill San Antonio I knew it would be perfect for this challenge! 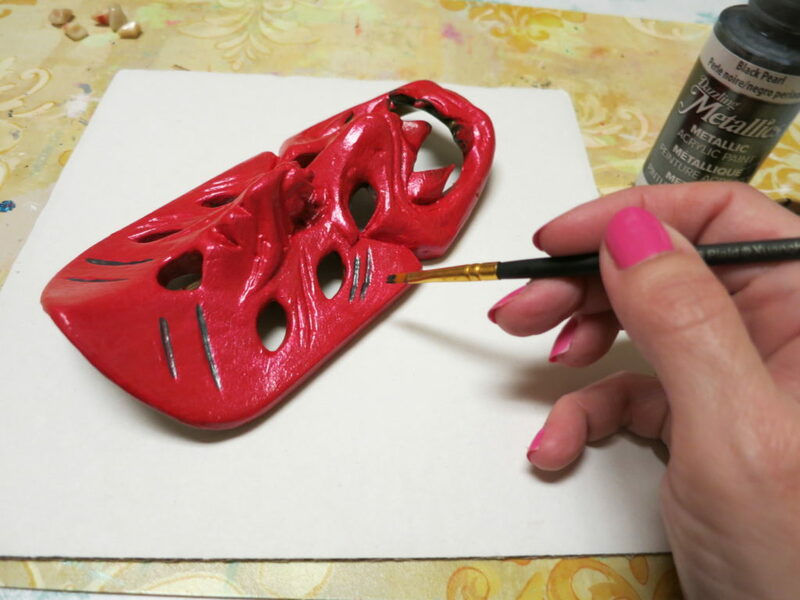 I started out painting the mask with the red metallic paint, and that was a mistake. The finish was very glossy and it was going to take a LOT of layers to cover the original stain. So then I did it the right way and painted matte medium over the entire mask. This helps paint “stick” better to slick surfaces. 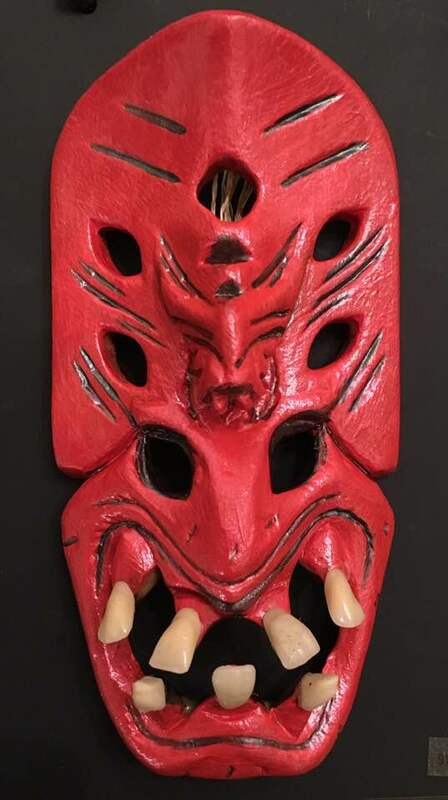 I painted the entire mask with red metallic paint. It took 3 or 4 layers to get the coverage I wanted. When the red paint was dry, I used a fine point brush and black metallic paint to fill in the lines and details on the mask. I dug around in my stash of fake teeth (my husband and a friend gave me a nice collection, but you can also buy them by the bag on sites like Etsy). 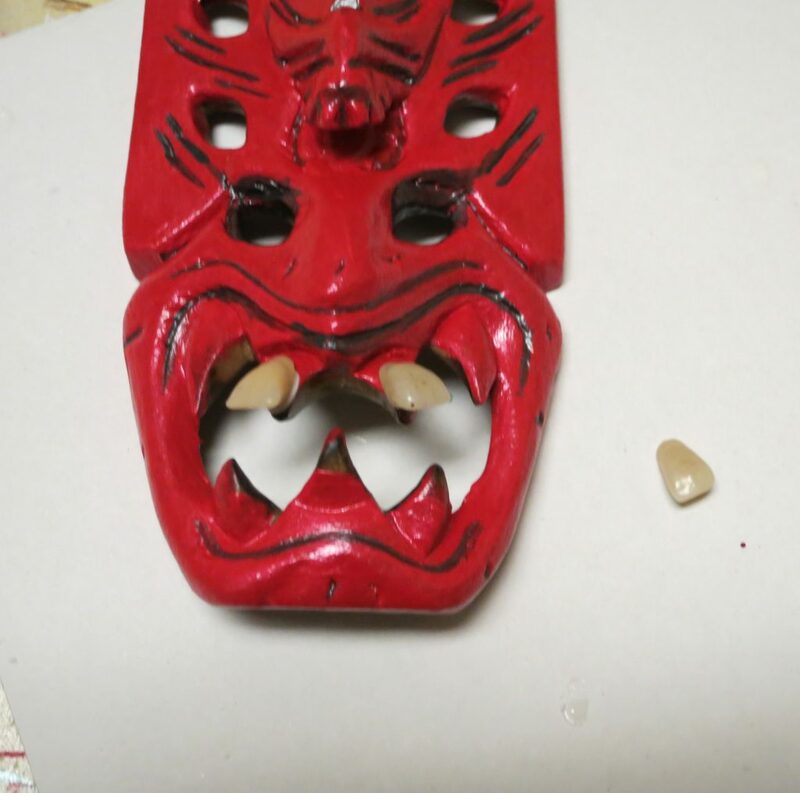 I used a glue gun to attach the teeth to the “fangs” on the original mask. I think it’s hilarious how the teeth completely transform the look of this piece. It’s a little bit goofy and definitely creepy. This would make a funny gag gift or a weird piece of Valentine decor! Have fun crafting and creating with Goodwill items!